Faced with a painful accident, the novel will inspire readers to dwell on acceptance and forgiveness. 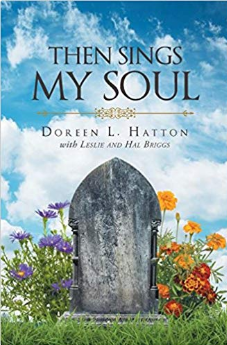 Doreen Hatton writes “Then Sings My Soul,” a beautiful story about acceptance and forgiveness. One night while Samuel, Lily Langston’s husband, was crossing the street, he accidentally got run over by fifteen-year-old Aaron Turner with only a learner’s permit and one who should not be driving alone, especially at night. As the life of her husband is taken away, Lily and her family are forced to accept the misfortune and move on with their lives. However, it has not been easy since the accident, but being Christians, the family believed in the power of forgiveness and has learned to soften their hearts for Aaron. As their family and Aaron bonded on music and the guitar, they learned to love and forgive him and grow to become stronger individuals. The strength in the story will pull at the reader’s heartstrings and will definitely push one to flip over to the next page for what happens next.